David posted a very interesting history of the San Joaquin Sourdough, "During the 1970's and 1980's, a group of younger French boulangers rebelled against the industrial baguettes that had been replacing the traditional baguettes in France since WW II. Presumably influenced by the teaching of Prof. Raymond Calvel, who emphasized the importance of a long slow fermentation to develop the flavor of bread, they introduced a cold retardation stage during bulk fermentation (before the dough is divided and shaped). In 2008, a young Parisian boulanger named Anis Bouabsa won the annual award for the best baguette in Paris using this procedure. Janedo, a French home baker (born and raised in Vancouver, BC, for your interest) and member of TFL visited Bouabsa's boulangerie and learned about his method, which she then shared with us here. 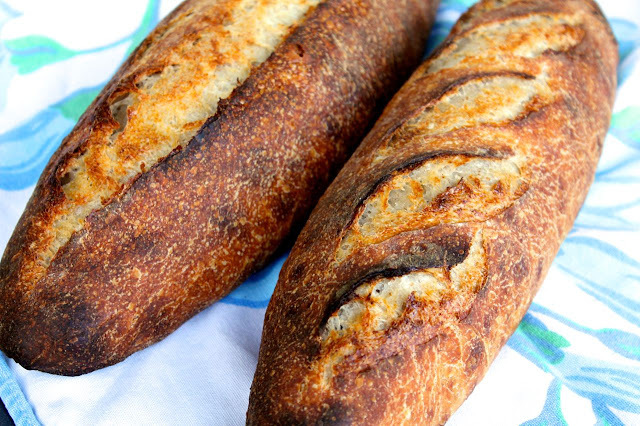 Over the ensuing months, a number of us made baguettes using Bouabsa's formula. Jane and I began fiddling with it - adding some rye flour and some levain, and, eventually, leaving out the commercial yeast altogether. Then I started using this dough to make bâtards and, occasionally, boules. 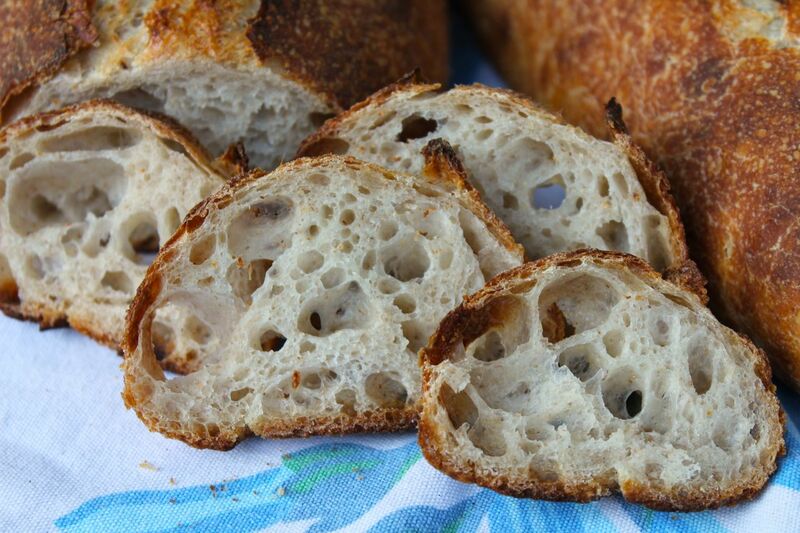 Thus, the San Joaquin Sourdough was born." While I still have a long way to go to get near David's expertise in terms of shaping, fermentation and everything, else even a poseur like myself can turn out a great tasting loaf by following his very specific instructions. 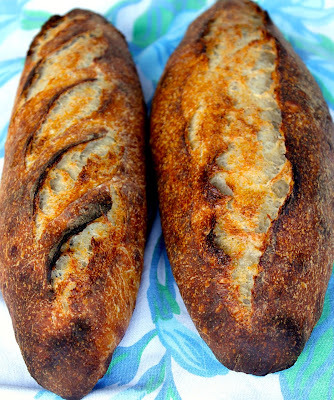 The crumb was softer that other sourdoughs I've made, with a wonderful flavor and a mild sour tang.